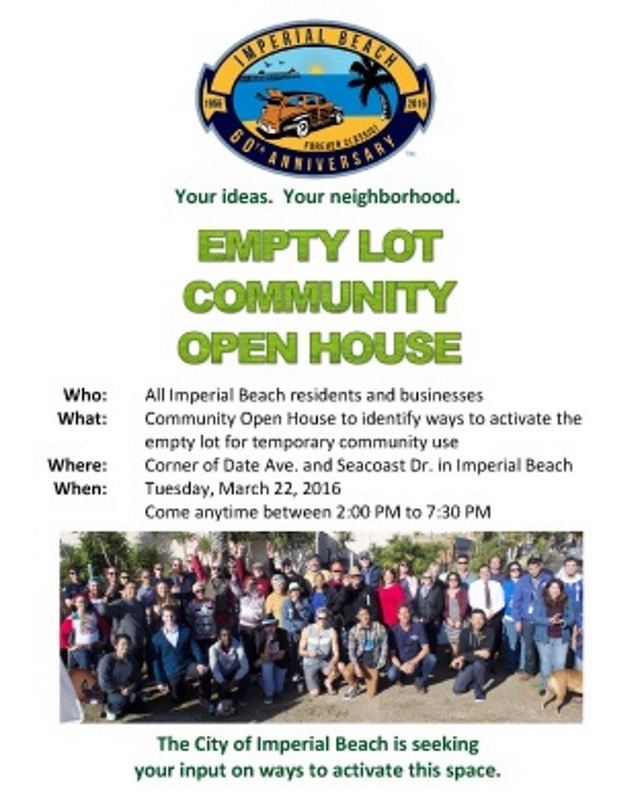 City of Imperial Beach is holding an "Open House" to discuss usage of Open Lot on Tuesday at Date Ave & Seacoast Drive. The event will last from 2pm to 7:30pm. This is across the street from Pier South.